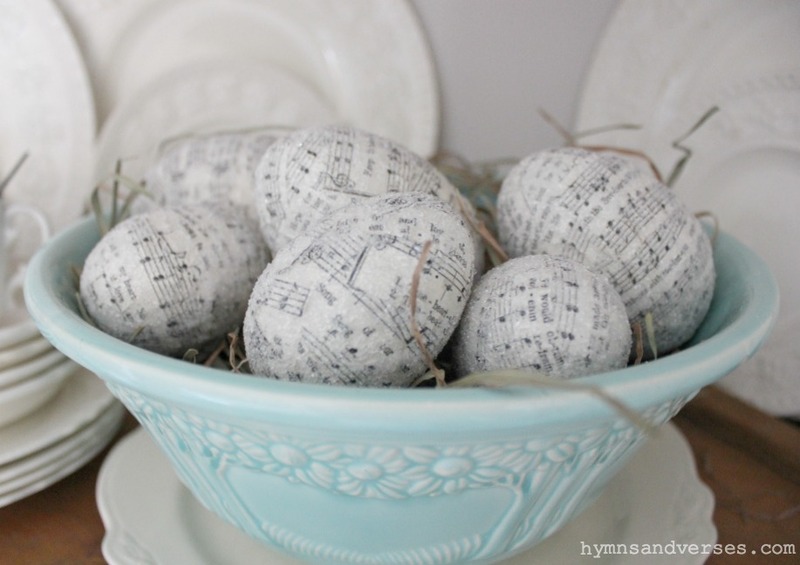 These music sheet Easter eggs look great in cottage or farmhouse style Easter and Spring decor. The eggs are so much prettier in person! It’s hard to capture the subtle sparkle from the white Diamond Dust glitter. You would never know they where made from a cheap plastic Easter egg! If you don’t have Modge Podge, you could also use basic Elmer’s school glue for this project since it dries clear. 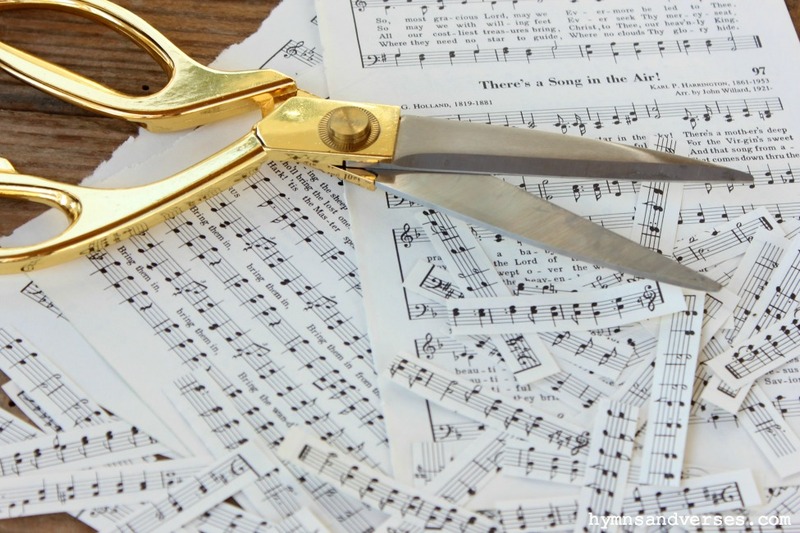 Cut your music sheets into thin strips that are about 2 1/2 inches in length. 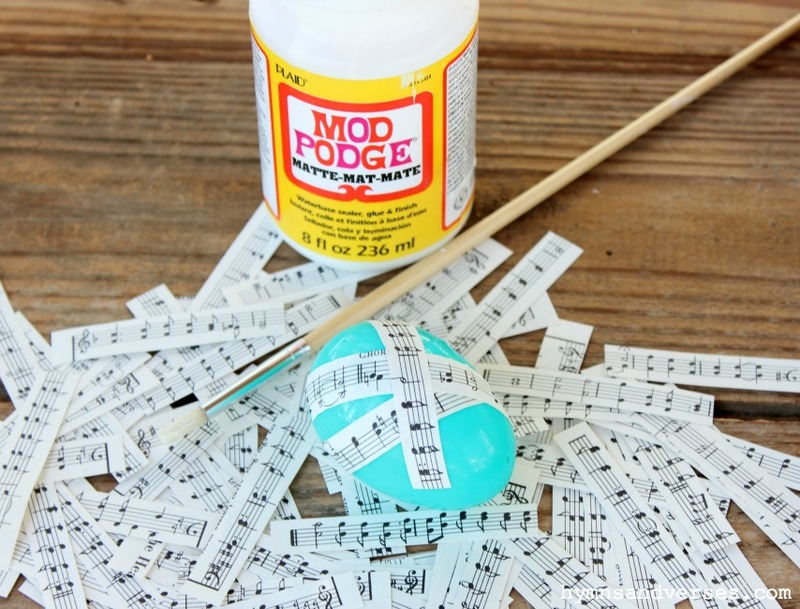 Use your paint brush and Modge Podge to attach the strips to the plastic eggs. Overlap the pieces to completely cover the entire egg. Once the egg is covered, brush a thin coat of Modge Podge over the entire egg. While the Modge Podge is wet, sprinkle the egg with the white glitter. 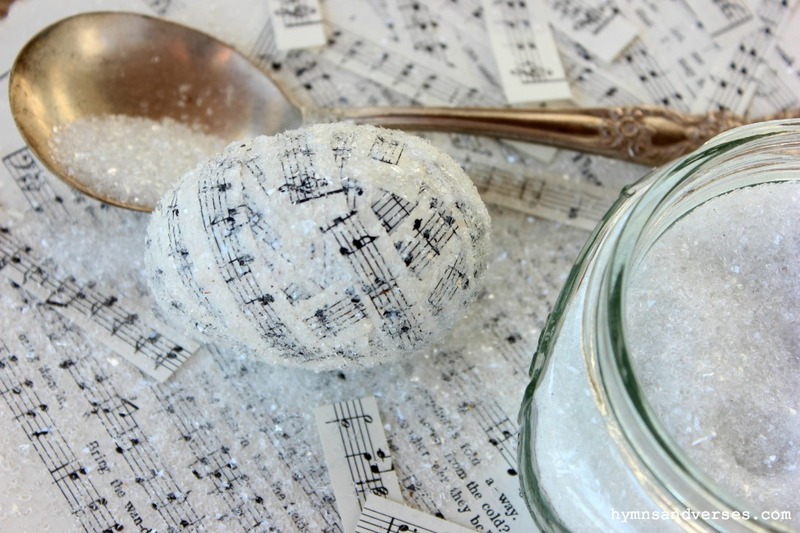 Let air dry and you have a sparkly music sheet Easter egg. This is a project that really can’t be messed up, so get the kids involved! I made a lot of these eggs three years ago and I use them each and every year! 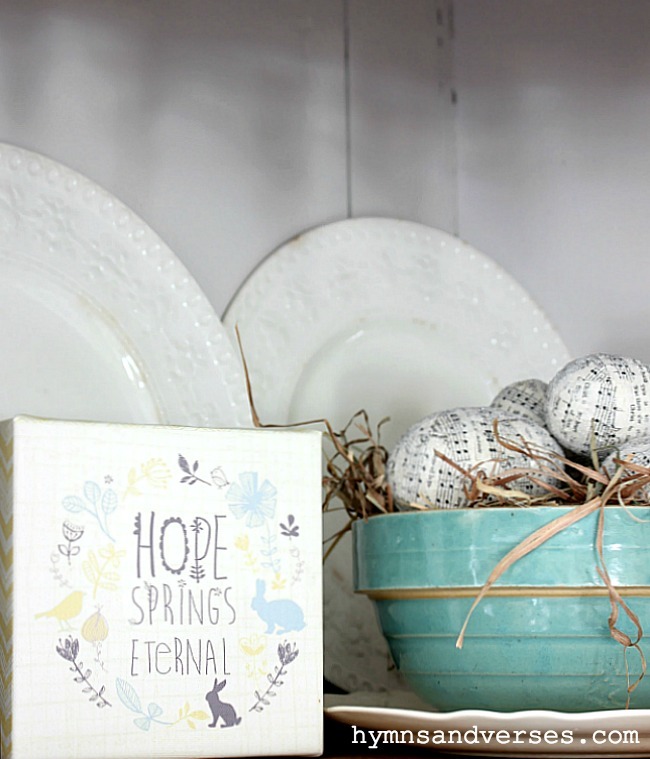 The pics shown here are from last year’s Easter decor. Because these music sheet Easter eggs are neutral, you can keep them out through the entire spring season! 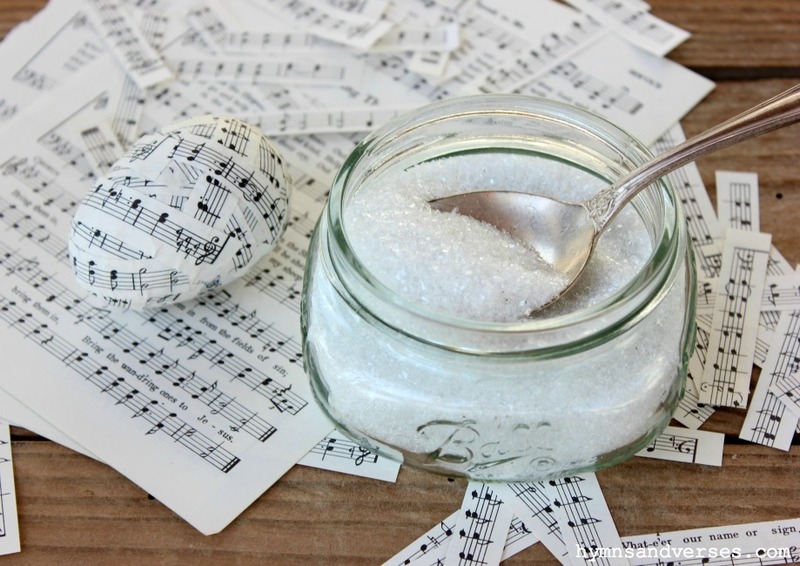 If you like these music sheet Easter eggs, here are a few more projects you might like to craft for the coming spring and Easter seasons! 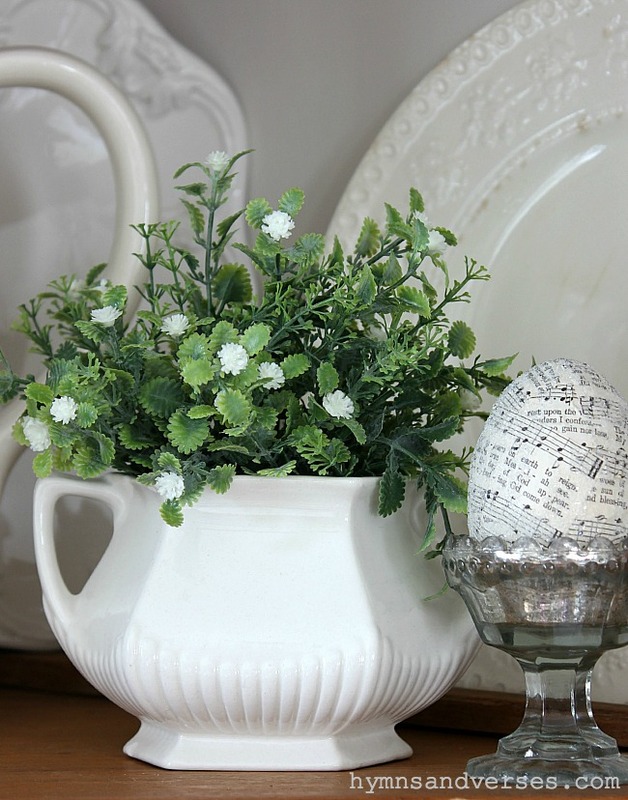 They are all simple DIY’s that could be done anywhere from an hour to weekend! Sounds crazy, but I love your scissors. I need to find some. And where would we be without Mod Podge? The scissors are from Target! I love them too – they are heavy and very good quality!!! Doreen, I love your sheet music eggs and you’ve inspired me to make some! Pinning and sharing on FB!